Reason for the absence and the anticipated length of the absence. Do not call the school secretary to report the absence. If for some reason the parent is unable to phone in the absence, the student must bring note signed by a parent or guardian on the first day of his or her return. The note must include the date, the period of time the child was absent, the exact cause of the absence, and the parent’s signature. 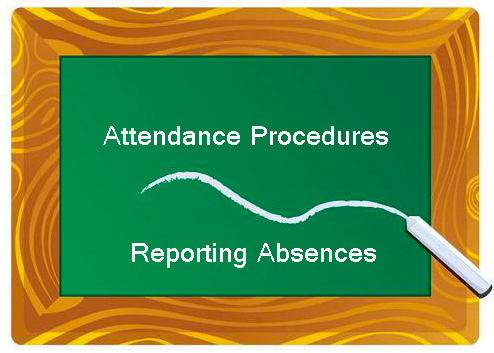 If a student does not bring a note or if there is no call to the absence line, your student will be considered truant. Homework and/or make-up work may be requested for a student who is going to be absent for two or more days. To do this, call the school secretary as soon as possible and allow 24 hours for the assignments to be processed and sent to the office. If a student misses one day of school, the student should contact the individual teacher or check the teacher’s web site for the make-up work. If an extended absence is anticipated, Independent Study is an alternative. 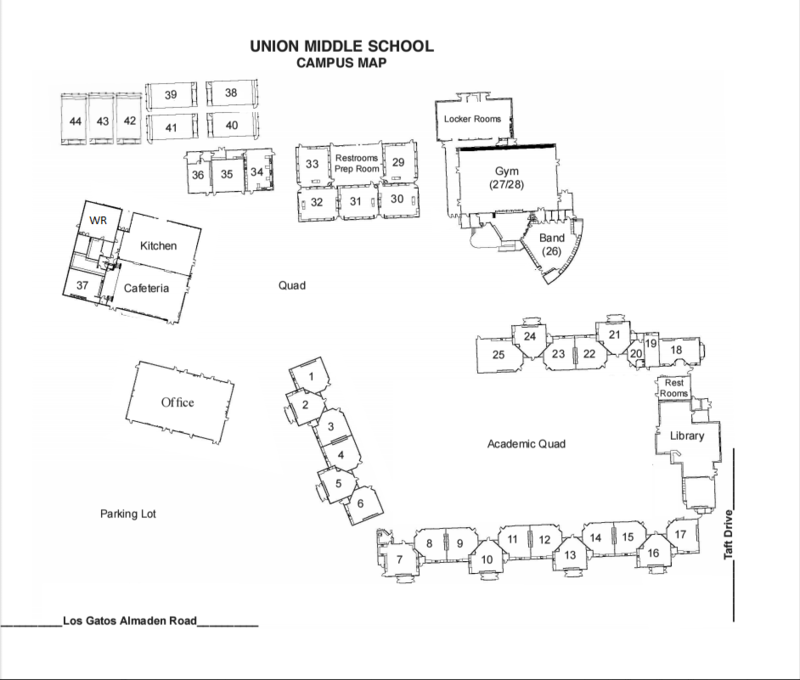 Arrangements should be made with the attendance secretary, Mrs. Margaret Smith. Please remember to make sure your children are at school daily and on time.Education Code 48260 (a) states that any ”pupil who is absent from school three full days or tardy or absent more than any 30-minute period during the school day without a valid excuse on three occasions in one school year or any combination thereof, is a truant.” Habitual truants are those students who have missed six or more days or 30-minutes sessions. Make sure your children are not missing out on valuable learning time. · Have lunch packed and ready to go. · Set out the dishes, cups and utensils for breakfast. · Set the alarm clock 10 minutes early. · Place completed homework in the backpack and set it by the door. · Get to bed at a reasonable time. The National Sleep Foundation suggests that a preschool-aged child needs between 11 to 13 hours of sleep. School age (5-10 years) require 10-11 and teens (10-17 years) need 8.5-9.25 hours each night. (1) Due to his or her illness. (2) Due to quarantine under the direction of a county or city health officer. (3) For the purpose of having medical, dental, optometrical, or chiropractic services rendered. (4) For the purpose of attending the funeral services of a member of his or her immediate family, so long as the absence is not more than one day if the service is conducted in California and not more than three days if the service is conducted outside California. (5) For the purpose of jury duty in the manner provided for by law. (6) Due to the illness or medical appointment during school hours of a child of whom the pupil is the custodial parent. (7) For justifiable personal reasons, including, but not limited to, an appearance in court, attendance at a funeral service, observance of a holiday or ceremony of his or her religion, attendance at religious retreats, or attendance at an employment conference, when the pupil's absence has been requested in writing by the parent or guardian and approved by the principal or a designated representative pursuant to uniform standards established by the governing board. (8) For the purpose of serving as a member of a precinct board for an election pursuant to Section 12302 of the Elections Code. (b) A pupil absent from school under this section shall be allowed to complete all assignments and tests missed during the absence that can be reasonably provided and, upon satisfactory completion within a reasonable period of time, shall be given full credit therefor. The teacher of any class from which a pupil is absent shall determine the tests and assignments shall be reasonably equivalent to, but not necessarily identical to, the tests and assignments that the pupil missed during the absence. (c) For purposes of this section, attendance at religious retreats shall not exceed four hours per semester. (d) Absences pursuant to this section are deemed to be absences in computing average daily attendance and shall not generate state apportionment payments.